Depending upon the device cost and usage the manufacturers decide, what kind of display technology should be used? Such as CRT, LCD, LED, OLED, Plasma (PDP), Electroluminescent (EL) display, Laser TV, Quantum dot (QD) display (Experimental) Carbon nanotubes (experimental), Field emission display (FED) (experimental), MicroLED and more; some of them start getting obsolete because of their reduction in usage in different consumer and enterprise devices while others are still in the development stage. To know more about the difference between the technology of the common displays, you can read our article: Display technologies explained. 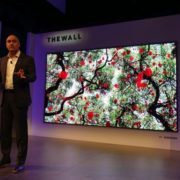 MicroLED to be the future of display technologies. However, here we only going to discuss the OLED Display technologies. The meaning of OLED or rather I say the full form is: Organic light-emitting diode (OLED). The displays those use the organic self-luminous diodes. Because of the simultaneous excitation with self-luminous organic light emitting diode, without backlight, contrast is high, thin, wide viewing angle, fast response, flexible panel can be used, a wide temperature range, a relatively simple structure and process and the like is excellent in the characteristics It is considered to be the next generation of flat panel display emerging application technology. 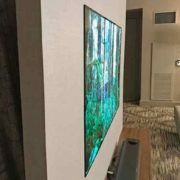 Organic light-emitting diode (OLED) displays are becoming more and more popular, and are most prominent in products such as cell phones, media players, and small entry-level TVs. Unlike standard liquid crystal displays, OLED pixels are driven by a current source. To understand how and why OLED power supplies affect display quality, you must first understand OLED display technology and power supply needs. The organic light-emitting display technology consists of a very thin organic material coating and a glass substrate. These organic materials illuminate when there is a charge. The color of the OLED light emission depends on the material of the organic light-emitting layer, so the manufacturer can change the material of the light-emitting layer to obtain the desired color. The way and the restrictions imposed on the design of the OLED displays are less. For organic electroluminescent devices, we can classify them into two types according to luminescent materials: small molecule OLEDs and polymer OLEDs (also known as PLEDs). Their differences are mainly reflected in the different manufacturing processes of the devices: small molecule devices mainly use vacuum thermal evaporation process, and polymer devices use a spin coating or inkjet processes. OLEDs are classified into active OLED (AMOLED) and passive OLED (PMOLED) according to different driving methods. In real life, the OLED technology uses in the devices as PMOLED and AMOLED. PMOLED has an advantage over AMOLED is the process of its formation is simpler and cheaper than the Active Matrix OLED (AMOLED). Whereas, if it has a disadvantage too, which is difficulty in increasing the size of the display panel. In order to maintain the brightness of the entire panel, it is necessary to increase the brightness of each Pixel to increase the operating current, thus reducing the lifetime of the OLED device. Current Drive control is not easy. Small music player, smartphone sub-displays and other small devices use the PMOLED type display. On the other hand, the AMOLED is costlier than the PMOLED bu can support Large size panels, power saving, high resolution, long panel life, and simple Data Driver design. The only thing is major drawback you can say is the process of manufacturing is more complicated and the TFT variability is higher. 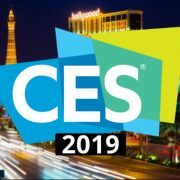 Smartphones, Smart Televisions, Signage solutions etc. Many companies are developing organic thin-film transistor (OTFT) backplane processes for flexible displays, which can also be used in OLED displays to enable the introduction of full-color flexible displays. Both standard and soft OLEDs require the same power supply and drive technology. 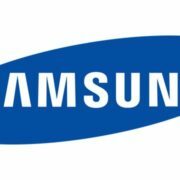 However, in the most direct consumer handheld devices, you will see an AMOLED display which is an extended version of OLED technology, as mentioned above. Active matrix organic light-emitting diode (AMOLED) displays require an active matrix backplane that uses active switches for switching individual pixels. Active array organic light emitting displays have built-in electronic circuitry so each pixel is independently driven by a corresponding circuit. The liquid crystal (LC) display amorphous silicon process has matured to supply a low-cost active matrix backplane and can be used in OLEDs. To understand the OLED technology, its capabilities, and its interaction with the power supply, you must delve into the technology itself. The OLED display is a self-illuminating display technology that does not require any backlight at all. The material used in OLED is an organic material suitable for chemical structure. OLED technology requires a current-controlled drive method. OLEDs have electrical characteristics that are quite similar to standard light-emitting diodes (LEDs), and the brightness depends on the LED current. To turn the OLED on and off and control the OLED current, a thin film transistor (TFT) control circuit is required. In OLED, advanced power saving mode can be achieved most efficiently and especially in any battery -powered device to achieve longer battery life, which is especially important for the OLED display. The OLED display consumes the most power when it is completely white, and the current is relatively small for any other display color because only white requires all red, green, and blue sub-pixels to be fully lit. For example, a 2.7-inch display requires 80 mA (milliampere) of current to render an all-white image, but only 5 mA is required to display other icons or graphics. Therefore, OLED power supplies need to achieve high converter efficiency for all load currents. In order to achieve such efficiency, advanced energy-saving mode technology is needed to reduce the load current to reduce the converter switching frequency. Since this is done through a voltage controlled oscillator (VCO), it is possible to minimize possible EMI problems and to control the lowest switching frequency outside the normal 40 kHz audio range, which avoids noise from ceramic input or output capacitors… This is especially important when using such devices in mobile applications, and it simplifies the design process. It is not a white light-emitting characteristic to judge the maximum power; it based on luminance values to determine the consumption amount of. From the LED or OLED, the human eye sees the same brightness; the blue light consumes the most power. As we know now, the OLED is a self-luminous material, which does not require a backlight board. That’s why, the viewing angle is wide, the image quality is uniform, the reaction speed is fast, the color is easy to be colorized, and the simple driving circuit can achieve illumination, simple process, and can be made into a flexible panel. In line with the principle of light and thin, the application range is small and medium-size panels. Active illumination, large viewing angle range; fast response, stable image; high brightness, rich color, and high resolution. Low driving voltage, low energy consumption, and can be used with solar cells, integrated circuits, etc. 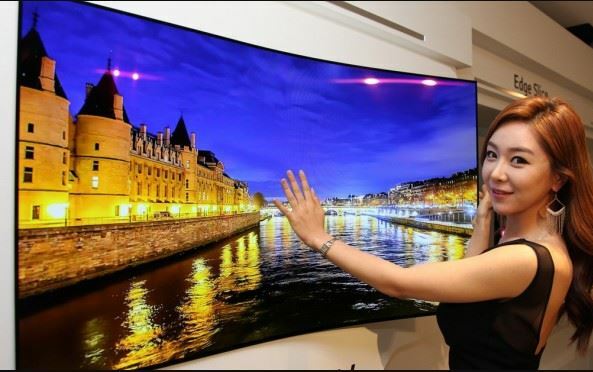 Because OLED is an all-solid, non-vacuum device, it has anti-vibration and low-temperature resistance (-40 °C). It also has important applications in military applications, such as display terminals for modern weapons such as tanks and airplanes. Due to the above advantages, the OLED display in the commercial field can be applied to POS machines and ATM machines, copiers, game machines, etc. ; in the field of communication, it can be applied to mobile phones, mobile network terminals, etc. ; in the field of computers, it can be widely applied to PDAs, On commercial PCs and home PCs and laptops; in consumer electronics, it can be used in audio equipment, digital cameras, portable DVDs; in industrial applications, in instrumentation; in the field of transportation, in GPS, aircraft etc. Apart from the above simple explanation of the OLED display technology, if you would like to delve more into only the OLED technology and its history see this Wikipedia page. USB Killer! What are they, how to save the devices!